The Simmel Award is given annually to the keynote speaker at the Sunbelt Social Networks Conference. The recipient is selected by the conference hosts in consultation with INSNA's Board of Directors. Expenses to attend the conference are part of the award. The award is named in honor of Georg Simmel. 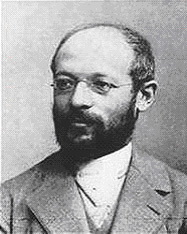 Georg Simmel (1858-1918) was a German sociologist whose studies pioneered the concept of social structure. He was a key precursor of social network analysis. His most famous works today are "The Philosophy of Money", "The Stranger", "The Web of Group Affiliation" and "The Metropolis and Mental Life".